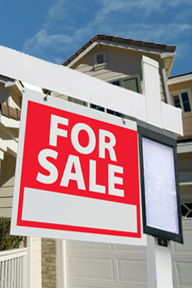 What should I know about signage as it relates to a condominium listing? Many condominium associations either do not allow signs to be placed on their property or, if they do allow signage, have a designated location for signs. Unlike a house, the condo owner does not own the ground where a sign would normally be placed so permission from the condo association must be granted along with direction as to where signs are allowed. CONDOS MUST ALWAYS BE FLAGGED. If you place an order for a condo and indicate that it is not flagged, the installation will not be scheduled until we have confirmation that the flag is in place and the approximate location of that flag. Serving Monona, WI and surrounding areas. We provide Residential Real Estate Sign Installations, Real Estate Sign Post Installation, Real Estate Sign Posts, and Real Estate Sign Riders in Monona, WI. Active Sign Installation LLC installs, removes and maintains residential real estate signs in Madison and Dane County 5 days per week. Areas outside of Dane County are serviced for an additional fee. We store your signs and name riders at our shop so that when you send us an order, we can take what we need in order to fulfill your request. We have over 25 years of experience working with many local residential real estate professionals. Give us a call at (608) 212-3600 and let us help you with your residential sign installation needs!